AUSTIN: CEO and Co-Founder Anthony Allman of POS REP discussed veteran reintegration issues using mobile platform at the 6 November 2013 general membership meeting at Camp Mabry. WASHINGTON, DC: Today the Texas Capital Area Chapter was officially awarded “Best Chapter” at the opening ceremonies of the 2013 AUSA Annual Meeting at the Walter E. Washington Convention Center in Washington, DC. 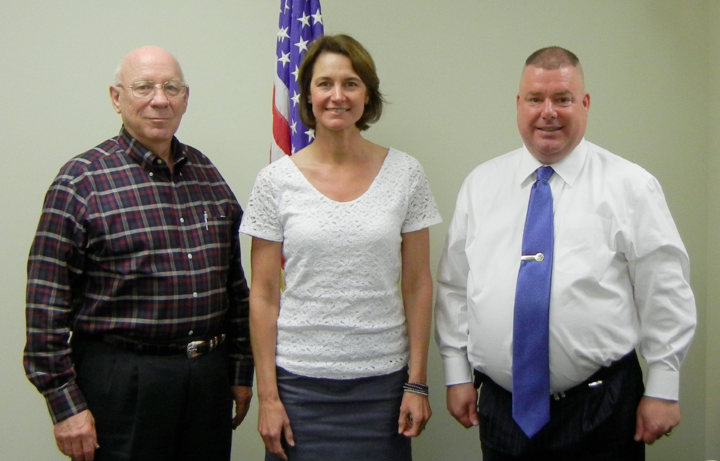 AUSTIN: Yesterday at a called general membership meeting the members of AUSA – Texas Capital Area elected new chapter officers to serve for a two-year term beginning on 8 January 2014. SGM Dewayne Naumann was elected to serve as Chapter President while MG Robert Halverson, USA-Ret. was elected to serve a another term as 1st Vice President. 2. The General Membership Meeting will commence at 1200 Hours in at Camp Mabry, Texas Military Forces Museum – Conference Room. 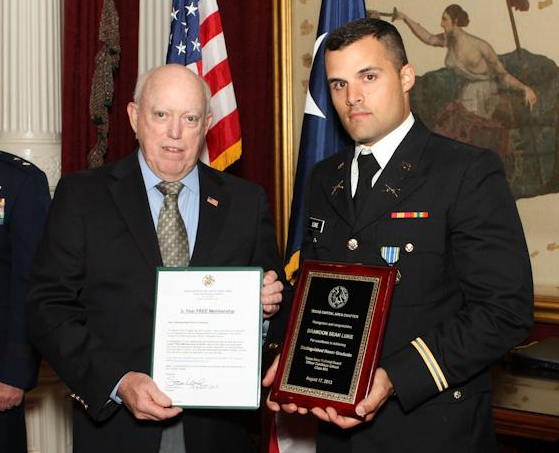 AUSTIN: On Saturday 17 August 2013 the Texas Capital Area Chapter was on hand to present awards at the Texas Army National Guard Officer Candidate School Class #56 graduation and commissioning which took place at the state capitol in Austin, Texas. AUSTIN: Today the AUSA Texas Capital Area Chapter was awarded “Best Chapter” by the Awards Committee of the national office of the Association of the United States Army in Arlington, Virginia. 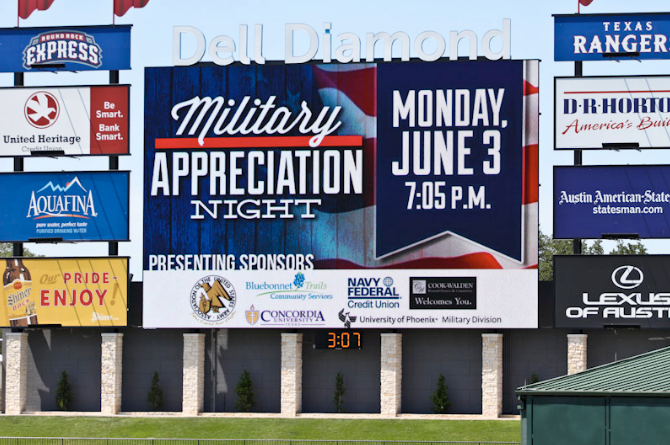 ROUND ROCK: For the third year in a row the Texas Capital Area Chapter participated in the TexVet Military Appreciation Night at Dell Diamond – Round Rock Express Baseball game. On hand were numerous Veterans service organizations to educate and inform Veterans of various services and benefits. Veterans were also treated to free hotdogs and sodas as well as free entrance into the ballgame. 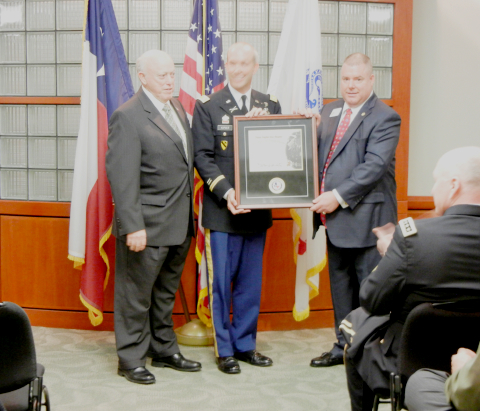 AUSTIN: Leaders of the AUSA Texas Capital Area Chapter were on hand at the retirement ceremony for LTC Joseph Kopser – Department Chair & Professor of Military Science at University of Texas Army ROTC on Friday 17 May 2013. AUSTIN: On Wednesday 1 May 2013 the Executive Committee of the Texas Capital Area Chapter voted and appointed AUSA Corporate Member Ms. Ronda Englander as Vice President of Family Programs while meeting at Camp Mabry. AUSTIN: On Saturday 27 April 2013 over 32 volunteers gathered for a “Day of Service” at the home of U.S. Army Corporal Alan Babin. In 2003 Corporal Babin was severely injured while serving as a Combat Medic in the 82nd Airborne Division while deployed to Iraq. The project was co-hosted by the Association of the United States Army – Texas Capital Area Chapter, Wounded Warrior Project, TexVet, and GoSarge.com.